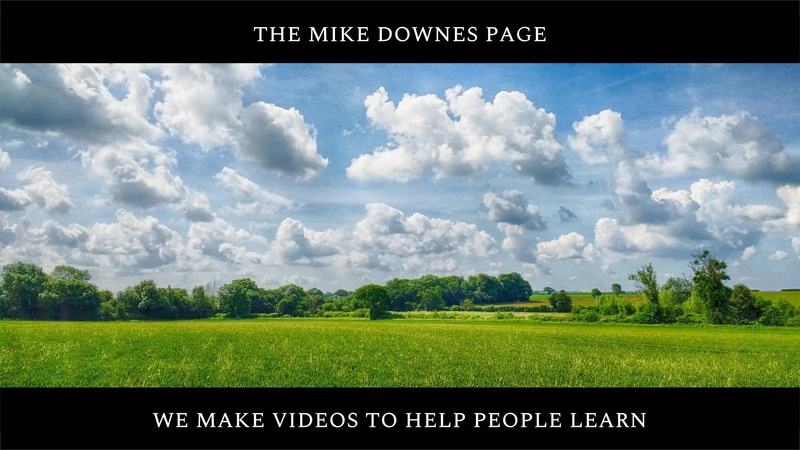 From the very beginning my YouTube channel has been called The Mike Downes Page. That was on 8 Oct 2010. At this time of writing, today the 6 July 18, there are 953 public videos spread across around 150 playlists with 1 million views and 1.3 million watched minutes. At youtube.com/mikedownes you will see my name as the public custom URL, yet it's really called themikedownespage, just click and see the name hidden in this URL. Although any youtube channel gives the channel some tabs like: Home, Videos, Playlists, Discussion and About, it's still quite limited to display what you need or talk about the videos that people are finding useful or even forgotten. Even more troublesome is how youtube will be watched across mobile, tablet, desktop and a big TV. For a mindful video creator, they need to think about matching what and how they make a video to how it will be watched (see below for some data). 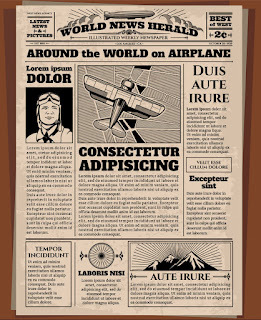 To best understand it all, think of my channel and this site as one big page - I especially like how old newspapers look, see this one called the World News Herald - full of optimism and promise. 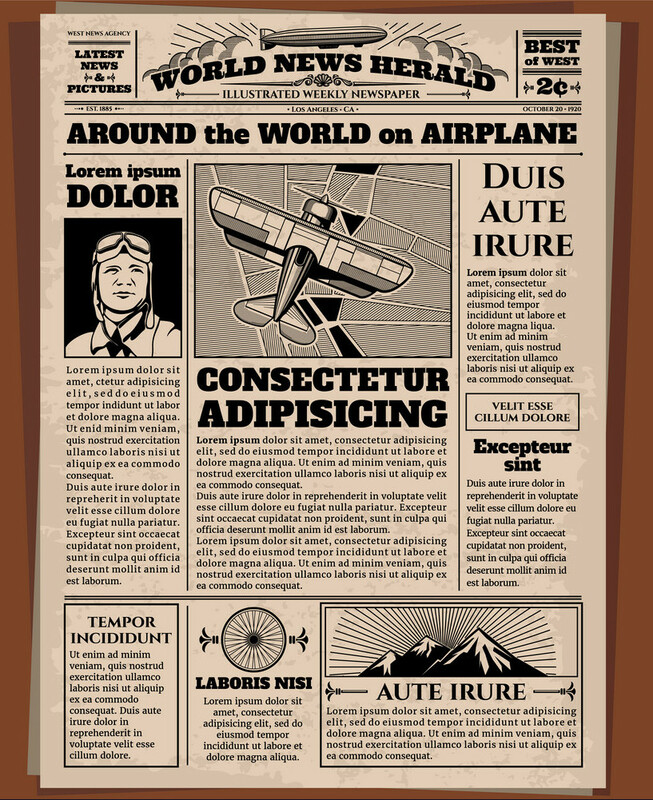 There are loads of images of old newspapers. All of them look back to a day when reading the news and learning about the world was so innocent. For some reason on this theme I'm reminded of the World's Fair in the era of the 1850s to early 1900s, 'World Expositions with technological inventions and advancements. Fast forward to 2018, and are we not seeing the same happening all over again with the smart phone and the wizardry it can achieve? Yet in my view, the average user has a magnificent phone, yet use it as little more than a thing to talk and text from - it's so much more, like a thousand times more than that. As a timeline, I started teaching in UK Schools September 1998, the same time as Google was founded. I saw the internet grow, and as I did, I taught it to seven to eleven year old children. For a look back then, read this news article from 2006 of me in a school classroom in Warwick, England. There was no internet in that classroom back then. I had to wheel in a large data projector on a trolley and attached it to a laptop preloaded anything I wished to teach. I spent twenty years in and around the UK Primary School Classroom. I started out in 1992 teaching black and white photography on Summer Camp in North Carolina, USA - an experience that has never left me. From there, qualified teacher status from the University of Warwick, and an honours degree. In April 2010, I started a blog called what's in kenilworth. It was my attempt to document what was in this small Warwickshire town. I also commented on local changes and issues as they happened. There are now 1,031 published posts, although after the first few years, I started posting much wider issues like changes in social policing and topics on technology and video making. From early 2012, I was invited to test for Google Hangouts on prelease software. In the last six years I have tested lots of software while looking to brainstorm and innovate then feedback to Google and other companies. Getting back to youtube, many of my first videos were nothing more than mere video tests. That developed into making short videos to give people a few tips on how to solve a problem or learn a new skill on something they were finding difficult. An example is the How to clean audio with audacity - it's the most watched video at the mike downes page. 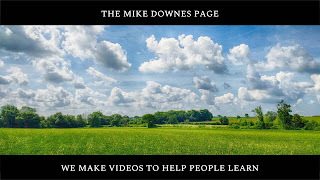 Now youtube.com/mikedownes has passed one million views and growing all the time, I'd like to add more structure on how I make video to help people learn. I'm in progress right now creating this new site. 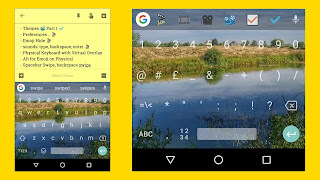 All of my top videos are made by recording my screen either on android or windows desktop. One thing you will notice - I do not appear on camera. You and me are side by side looking at the lesson or the problem to be solved. I am not looking to entertain and get people to like me, if it's all going well I may throw in a smile or two. Every day around 1,500 people show up, watch 1.4 videos and leave. Thanks to youtube analytics and the new studio.youtube.com I can track pretty much everything. I am located in England. I make a video, upload them to my YouTube account and have also been accepted on the YPP YouTube Partner Program. In what seems a few short minutes, my video is available all over the world - that's pretty incredible is it not? What you will notice is the extreme difference from the West to the East. Look how Mobile watch time in UK/USA is 29/34% compared to 71% in India. And how I can make a mobile portrait video and get complaints from those in the UK/USA, yet none from those in India/Pakistan. For gender, my channel has a Male 83%, Female 17% - my aim a balanced fifty fifty. I see the audience to my channel as intelligent people who have come along to learn something or solve a problem they are having. That is definitely reflected in the comments - usually specific questions from a video they have watched or a simple, yet heartfelt thanks. Friday 6 July 2018, 4:25pm ..
Mike Downes welcome a healthy discussion on this site and looks forward to reading your comments and replying to your questions ..\o/ ..